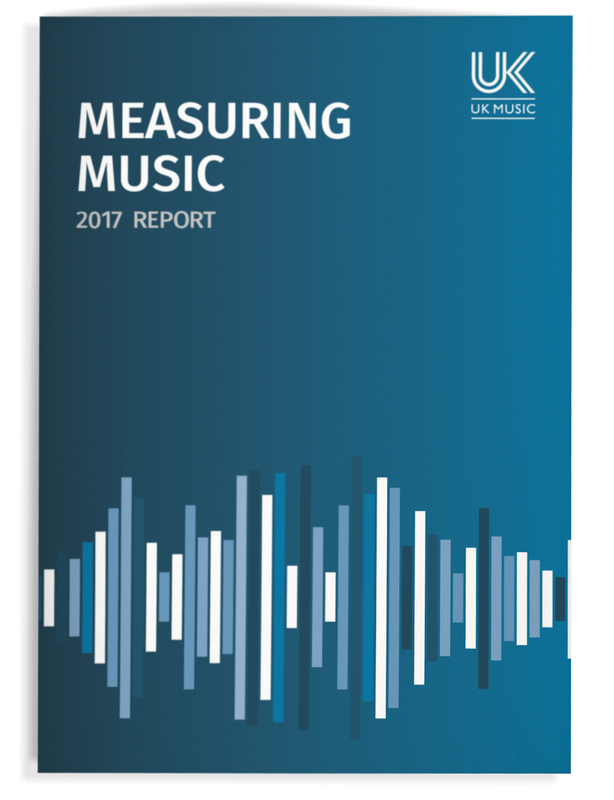 In late 2017, UK Music published their latest Measuring Music report. UK Music is a lobbying group for the ‘collective interests of the recorded, published and live arms of the British music industry’. 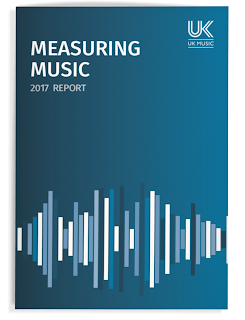 Measuring Music is one of their campaigning documents and it therefore contains headline-grabbing statistics. One of the most eye-catching is that live music is worth £1bn to the UK economy, while recorded music is only worth £640m. This phenomenon has been reported in turn by media institutions, such as the BBC and the Financial Times, and by industry players, such the Music Publishers Association, Ticketing Business News and Billboard. It is also noted in the recent UK Live Music Census. What these news reports miss out, however, is that that the live music statistics and recorded music statistics are not directly comparable. UK Music admit as much in their separate ‘methodology’ document, albeit only in terms of their calculation of the Gross Value Added (GVA) Contribution, the figures that illustrate the contribution of each music industry sector to the British economy. UK Music state that GVA ‘is most simply understood as the value of sales minus the cost of bought in goods and services used up in the production process’, but also admit that calculating GVA is not straightforward at all. As a result, ‘This means that it is likely that the ratio of GVA to Gross Output that we apply may vary between the different elements of the core music industry. It is bespoke to the core as a whole, not to the component parts of the core’. GVA is nevertheless only one of the factors that help to make any direct comparisons between live and recorded music questionable. In fact, the figures are more profoundly skewed by other elements of the methodology, notably decisions about what makes up the ‘core music industry’ and what makes up the ‘wider music industry’; about what to include within each sector of the music industries; and about what to exclude from these sectors. Recorded music suffers in comparison to live music in each of these methodological respects. ‘Core music industry’ occupations are counted towards the trade figures; ‘wider music industry’ occupations are not. The core includes live industry revenue from ‘ticketing agents’ and ‘concert venues and arenas’, but it does not include recording industry income from ‘music retail (shops)’, ‘music retail (digital)’ or ‘other music-based digital services for consumers’. This discrepancy becomes more apparent when we look at what is included within the ‘recorded music’ sector and what is included within ‘live music’. Recorded music is restricted to the wholesale income of sales of physical formats and downloads, as well as the money that record companies make from streaming (of both the ad-supported and subscription varieties). It does not include the money that the retailers and streaming companies make from selling these goods. The Live music figures, meanwhile, include ‘Total ticket sales for all kinds of live music events’. In contrast to recorded music, they feature the share of income that goes to the retailers of the tickets: ticketing Agents are included. This makes a significant difference. If the retail income from recorded music were included, its totals would rise by at least 30% in the case of the streaming and downloading trade and by around 40% in respect of physical sales. Conversely, ticket agents earn about 10% of the income from ticket sales. On top of this, the live music figures include ‘food and beverage sales’, ‘merchandise’ and ‘venue parking’, as well as ‘camping fees’ for music festivals. It could be argued that recorded music generates similar ‘ancillary’ income (record shops generate merchandise sales and many also now sell food and drink), but these are not included in the figures. The list of trades included under live music is also more expansive. The figures incorporate music festival organisers, music promoters, music agents and production services. Recorded music does include ‘design and production of physical product and packaging’ alongside those employed by record labels themselves. Nevertheless, it does not include the money generated by ‘music producers, recording studios and staff’. These could be considered intimately connected to recorded music, but they are given a separate section within the Measuring Music report. There is a more significant omission, however. The live and recorded music figures are concentrated upon those who make a living because of the work of musicians and composers: the record companies, manufacturers, ticket agents and venue workers. The income of the musicians and singers is not included under the headings of recording or live. The policy, instead, is to subtract artist income from these totals and to place it in the combined field of ‘musicians, composers, songwriters & lyricists’. This makes a difference in three respects. In the first instance, it enables the Measuring Music report to argue that artists are the biggest income generators of all. Their total GVA contribution is calculated at £2b. This is double the live income figure and more than three times the amount calculated for recorded music. Secondly, because the figures for composers and performers are combined, we do not get a picture of how much money they are each deriving from recording and how much from live music. This is significant, as we need these figures to get a more accurate picture of the money that is being generated in these two fields. A third factor results from the fact that Measuring Music does not drill down into its figures. We do not get to see how much record companies are earning from recorded music in comparison to recording artists and composers, and nor can we assess the distribution of income in the live music field. What can be assumed, however, is that the majority of income reported under ‘recorded music’ will result in related income for musicians and composers. They will receive royalties from each sale, download, stream, radio play, public performance or licensing deal. Moreover, while there are variations in the amounts that artists will receive, these are within parameters: approximately 15%-20% of the income from sales and streams will go the recording artists, 8.5% will go the songwriters and their publishers; performing rights relating to the sound recording will be divided 50/50 between record company and musicians, while songwriters will receive at least 50% of the performing rights income for the composition. In contrast, there are several income streams reported under ‘live music’ that will not result in corresponding income for performers or composers. In the majority of cases this will include the sales of food and beverages at gigs, the parking income and camping fees, and also the money that venues charge to put on events. Other income figures for live music can be widely variable, including the shares that artists receive from ticket sales and the money that they make from merchandise. The general tendency, however, is that the gap between the rich and poor is wider in live music than it is in recorded music. Live music income is oriented towards star performers and heritage acts, as well as to artists who perform cover versions of these performers songs. Performers down the lower end of the scale may earn nothing from live music or even operate at a loss. Recorded music, in contrast, has a more equal basis. The stars here obviously do make more money than the obscurities, but they do so from generating multiple sales and streams, rather than by charging higher prices than their competitors or by demanding higher fees. In one respect UK Music’s decision to separate the income of composers and performers into a category of its own is justified. Although these artists have different income streams for their recorded and live work, the profits and losses in these areas are intertwined. The report depicts a sequential process whereby it is songwriting that enables the creation of successful records, and successful records that prompt successes within live performance. This sequence moves in various directions when it comes to revenue, however. Live performance drives the sale and usage of recordings, and recordings drive the sales of tickets for gigs. Beyond this, as Measuring Music argues, the most successful artists are not just selling their music; they are selling themselves ‘as a brand, reputation or image’. At the same time, the categorisations employed by UK Music are of tactical use. As stated above, Measuring Music is a campaigning report. It seeks to gain the government’s support for the UK music industry as a whole. In doing so, it has a dual task. One objective is to point out the value of music. Therefore, the report documents the vast amounts of money that are being accumulated and the large numbers of people who are being employed. At the same time, the report calls for aid. It wants the government to intervene so that yet more money can be made and so that jobs in each sector can be secured. UK Music is a coalition between record labels, publishers, artists, managers, songwriters, collection societies and the live music industry. It aims to promote a unified front. It does not want to identify injustices amongst these industry sectors. Therefore, despite the widespread criticism of streaming royalty rates for musicians and songwriters, this report will not show you whether record companies and publishers are profiting at their artists’ expense. Similarly, while prices for tickets have risen sharply in recent years, Measuring Music provides no clues as to whether the live music industry could be more altruistic towards smaller venues or to nascent performers. Instead, it locates responsibility for low rates of pay outside of the core music industry. As with virtually all industry documents from last year, its main beef is with the ‘value gap’: if there is unfairness in music it is due to YouTube and Facebook and their pesky ‘safe harbours’. Michael Dugher, the CEO of UK Music, stresses that ‘these platforms offer little adequate reward to the investors and creators of the “content”. As a result, their safe harbours must be removed. Live music did have another great year as millions of people poured into festivals, stadiums and venues to see and hear their favourite acts. And live music is a fantastic driver for growth. But future talent will never get the chance to shine if we continue to see cuts in music in schools and closures in venues where artists need to learn their craft in the first place. To reach the big stage you need to have a hit record and you need to be able to pay the bills. That means that those who create music and invest in it must be properly rewarded. That’s why we must urgently address the ‘value gap’, particularly on the new and exciting platforms that many people now use to listen to music. This would appear to indicate that, despite the headline figures about live music’s dominance, when it comes to artists’ recompense it is recorded music that is primary.